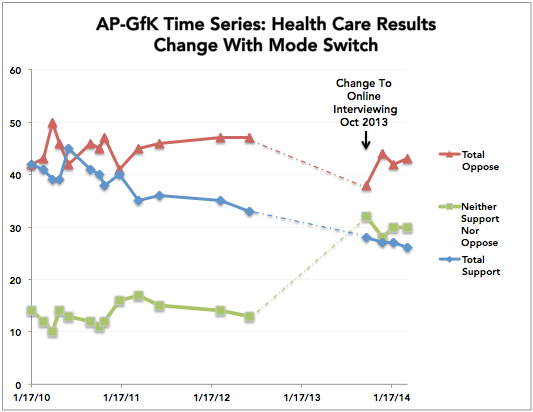 A new AP-GfK poll shows support for Obamacare falling to a record low, but the write-up leaves out an important detail. Among the uninsured, Democrats are twice as likely as Republicans to say they're getting insurance. 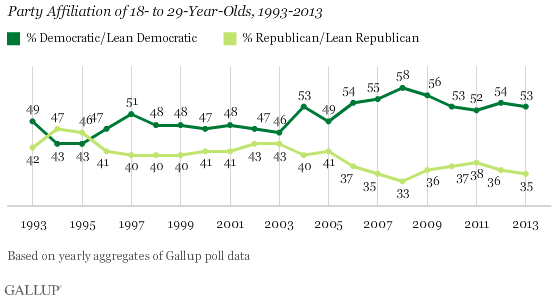 And young Americans have moved leftward since 2006. This is HuffPollster for Friday, March 28, 2014.